Today, yoga has become so popular that you can’t walk a single city block without encountering a studio. The chances that a form of exercise developed in India more than two thousand years ago would find its way into mainstream western society in the 21st century are pretty slim, but here we are! It stands to reason that any exercise this popular really helps people and offers many benefits. For those who have never tried it, however, it can seem intimidating and overwhelming. Fortunately, there are many opportunities for those who are new to yoga to ease themselves into the practice. 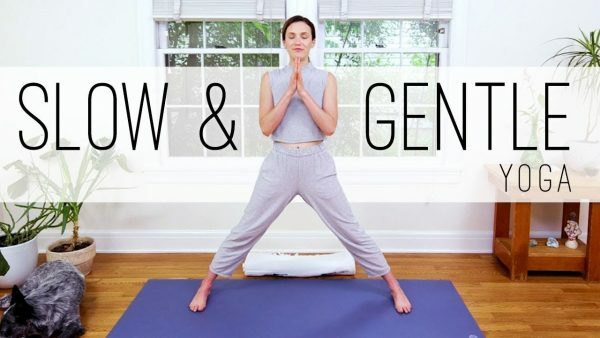 Yin yoga, for example, is extremely gentle, designed to encourage healing and mindfulness, rather than providing a vigorous workout. Most yoga studios will indicate when a class is appropriate for beginners, and props like chairs, blocks and straps can be used as tools for those who are learning. 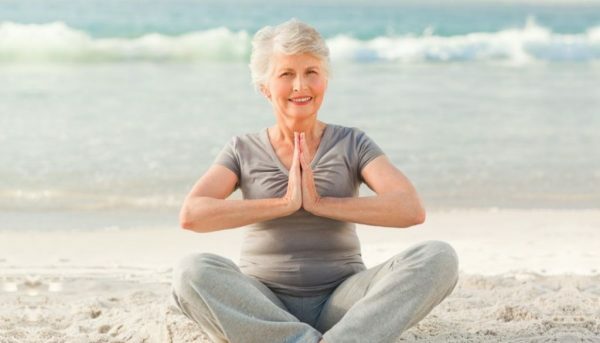 Chair yoga, in particular, has become extremely popular with seniors, as the support of the chair reduces strain on the joints and muscles to facilitate the essential movements and poses. It’s never too late to incorporate a regular yoga practice into your life. If you happen to be over the age of sixty and you’ve never tried yoga, seize the day! The prevailing philosophy of most yoga teachers is that everyone has to start somewhere. Strength and flexibility are not increased overnight, but incrementally over the course of many sessions. That said, even in the first one or two sessions, you may discover a sense of inner peace and calm. Yoga is designed to bring the body and mind into alignment and to cleanse harmful toxins as well. Physical benefits come slowly, over time, but psychological benefits may manifest immediately. If you happen to live in a retirement residence with a weekly calendar of social activities and exercise classes, it is very likely that chair yoga is part of the programming. All Seniors Care Living Centres, which can be found throughout Canada, offer regular chair yoga classes in addition to chair exercises, aqua fit, dancing and scenic walking paths for those who are partial to an evening ramble. For seniors, the freedom to attend exercise classes right on your residential premises means no excuses, so regardless of how busy you are or how tired, you’ll still be able to get to class, which means you’ll be honing your physical and mental faculties. Yoga classes can often be relaxing and invigorating, so if you’re fatigued or stressed, an hour of chair yoga might just turn things around for you. If you can get even one or two of the above benefits out of your practice, it will certainly be worth it. Worst case scenario, you try for a week and decide it’s not for you. If you fall in love with yoga, however, it might just change your life.